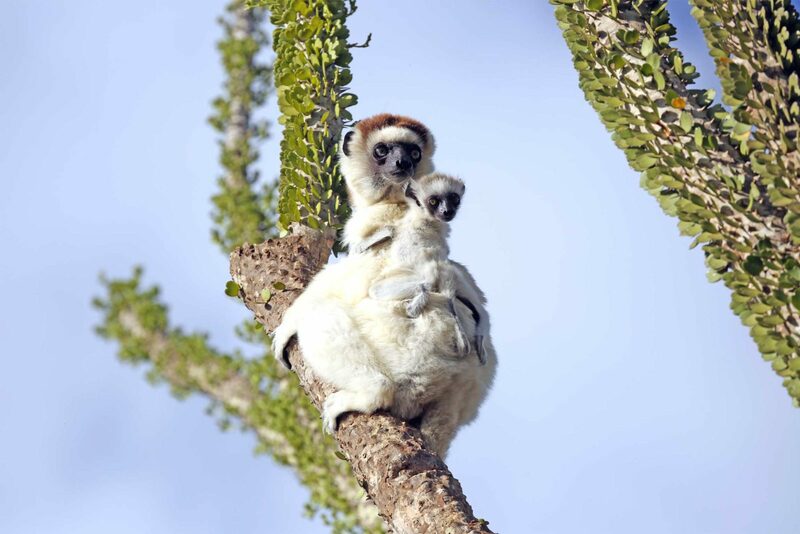 An extra-special itinerary crafted to reveal many of Madagascar’s top natural history highlights whilst staying in outstanding rustic luxury accommodation with superb personal service. 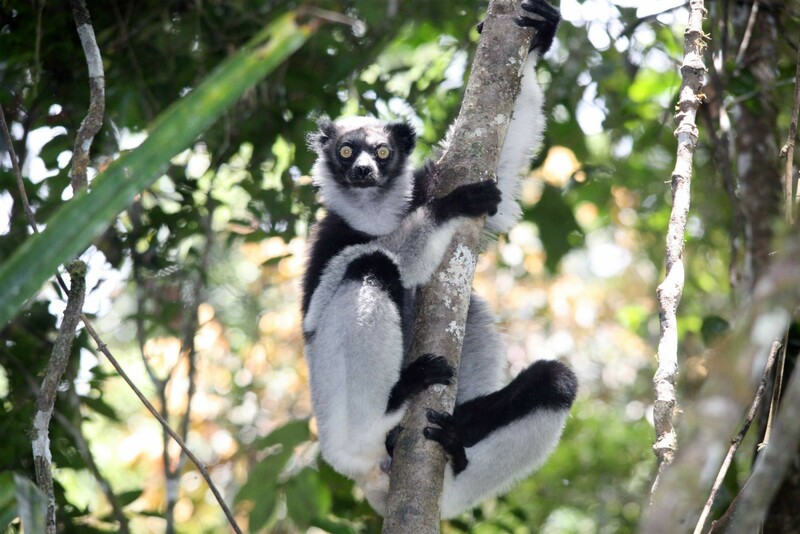 This itinerary is perfect for those looking for a wildlife and beach holiday to Madagascar at a gentle pace with ample relaxation time and quality wilderness accommodation. 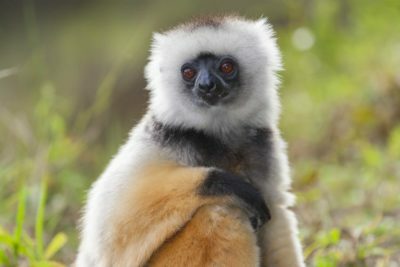 With time in both the lush eastern rainforests and mysterious spiny bush and desert of the south and also a lovely beach this combination will offer an impressive range of iconic and very endangered lemur and chameleon species, along with plenty of other Madagascan oddities such as leaf-tailed geckos and giraffe-necked weevils. 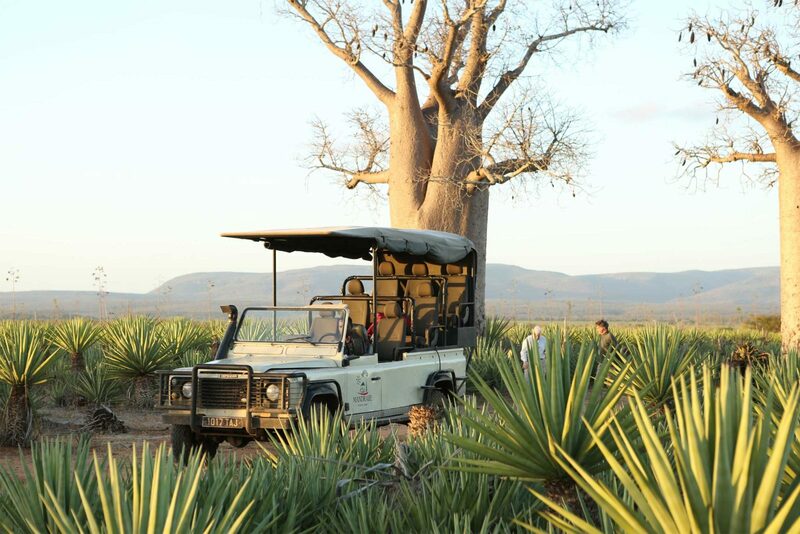 In the unique cacti like spiny forests of the south you can enjoy dancing Verreaux’s sifakas, charming ring-tailed lemurs and cute sportive and mouse lemurs along with many colourful endemic birds and rare radiated tortoises. 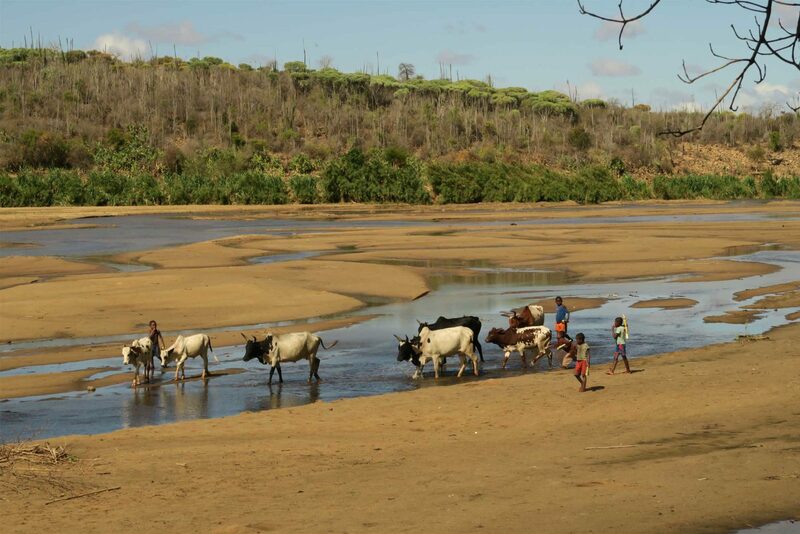 There is also plenty of opportunity to immerse yourself in the local culture with the Antandroy tribe at the Mandrare River Camp. This tribe are fascinating to interact with and are largely unaffected by the outside world, holding onto their strong beliefs and living very naturally. 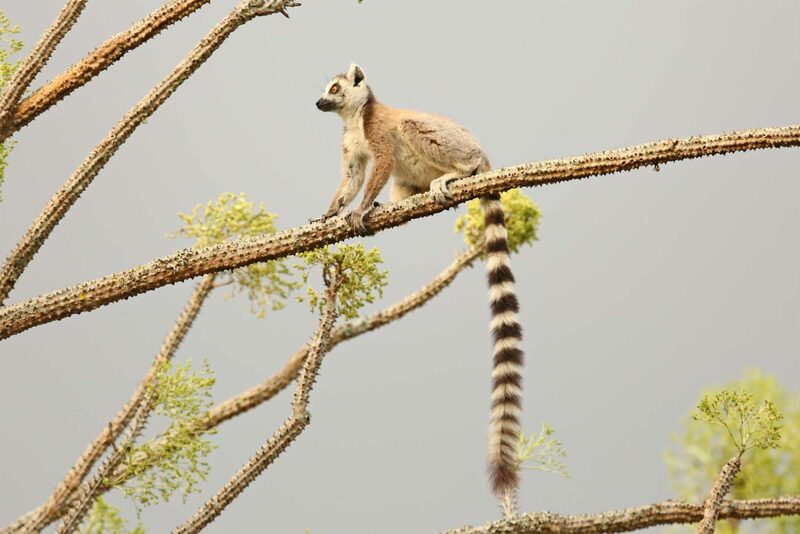 The coastal littoral rainforests at the Manafiafy Beach and Rainforest Lodge are the habitat of the rare red-collared brown lemur and southern woolly lemur and there are also humpback whales between July and November and mangroves and a beautiful beach to enjoy. 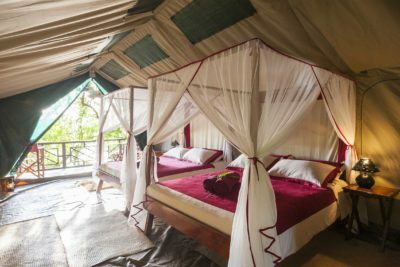 After or before your stay at these two top-quality all-inclusive wildlife lodges you can finish with the unmissable rainforests of Andasibe, just a short drive from the capital. 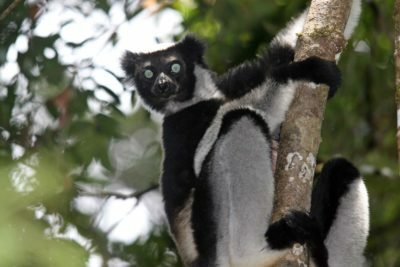 The more montane old growth forests here are home to the largest species of lemur the indri, along with the beautiful diademed sifaka, black-and-white ruffed lemur and abundant frogs, chameleons, insects and endemic birds. Pick up from the hotel and transfer to the airport. 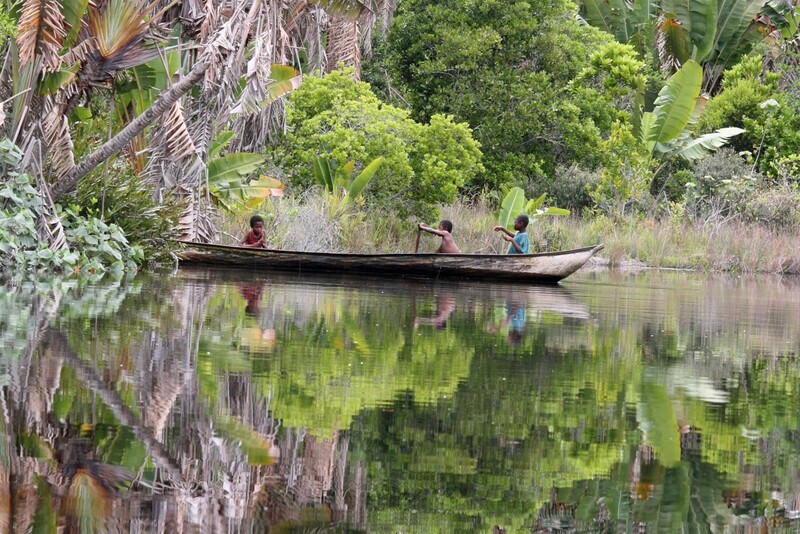 Take scheduled charter flight over ever-changing scenery to the remote village of Ifotaka and transfer to your luxury camp arriving at mid-day. Enjoy an afternoon of guided activities in the nearby forest or relax at the lodge. Please note that the activities can be customised to suit your interests. Staying at Mandrare River Camp. Includes All Meals. Day of excursions (to be decided at the camp). 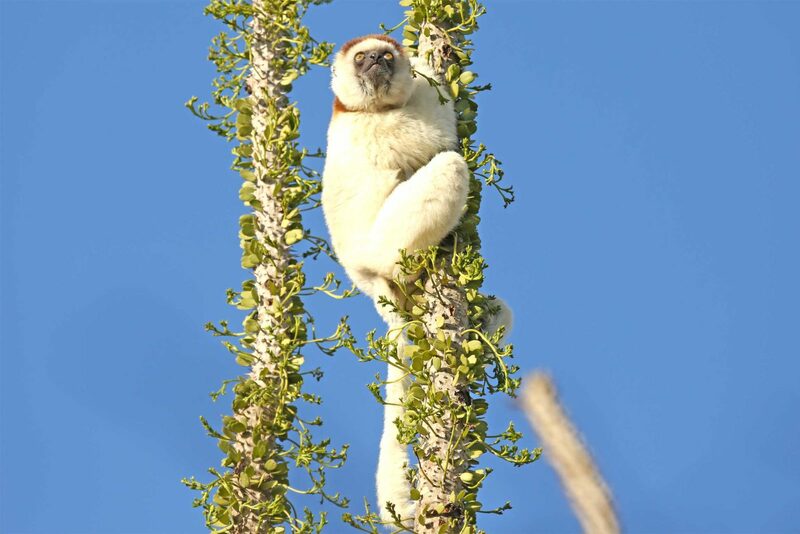 Activities will include guided walks to see the endemic wildlife through the different forest types including the spiny forest and gallery forest. 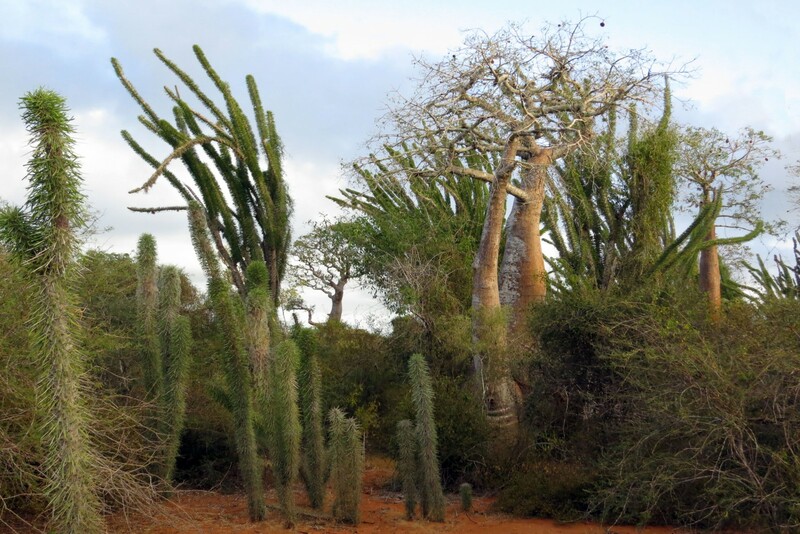 The strange spiny forest here contains many endemic plants adapted to the arid conditions and is dominated by the thorny Didiereacae, or octopus, trees and the local baobab, Andansonia rubrostipa (fony). 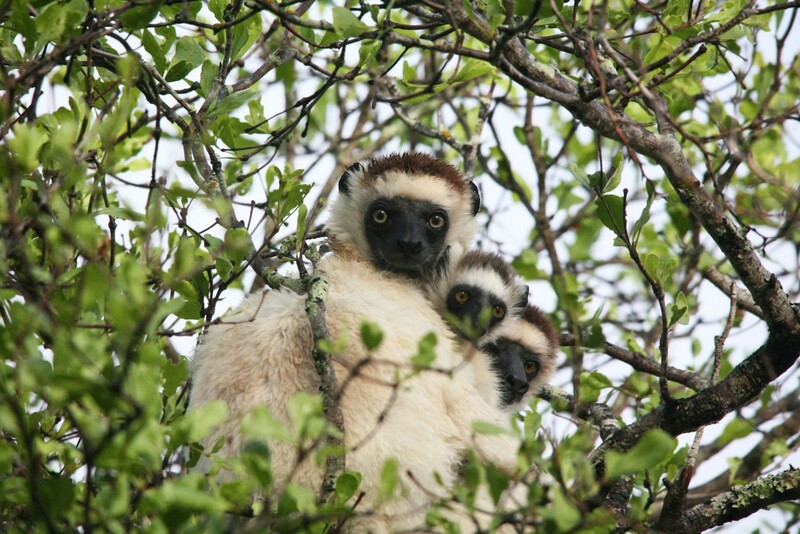 It is an excellent location to see the Verreaux’s sifakas leaping between the trees. 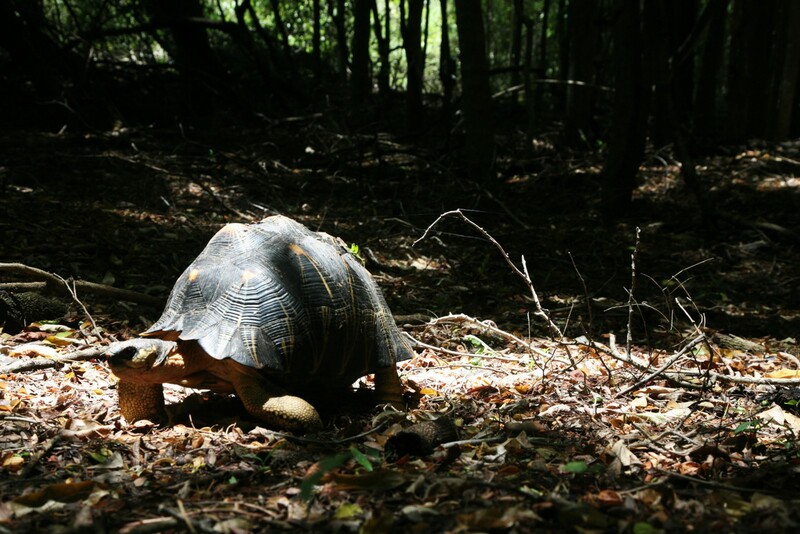 Birdlife includes sickle-billed vanga, running, green-capped and giant couas and if lucky you may laso find a radiated tortoise. 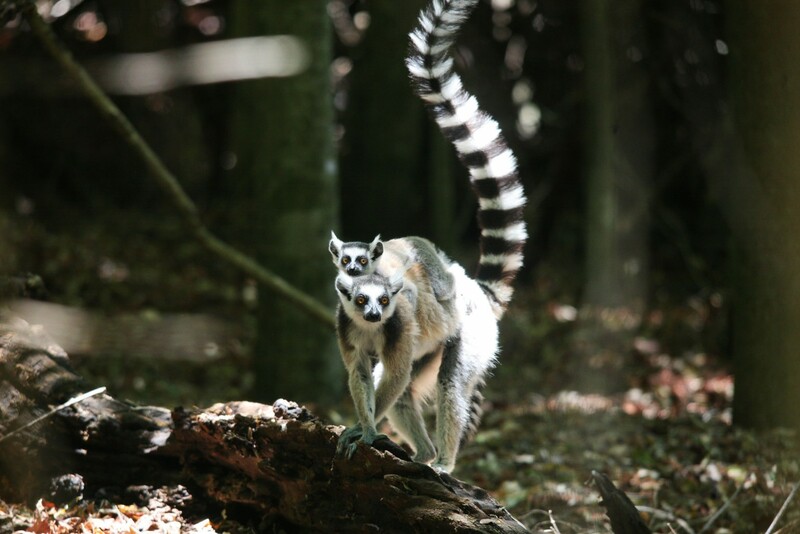 Today perhaps visit a local village or explore the gallery forest along the river where large groups of ring-tailed lemurs can be found. The local Antandroy tribe that inhabit this region are fascinating to interact with and are largely unaffected by the outside world, holding onto their strong beliefs and living very naturally. The forest and associated wildlife here is preserved by the people themselves who hold them sacred as resting places for their ancestors. 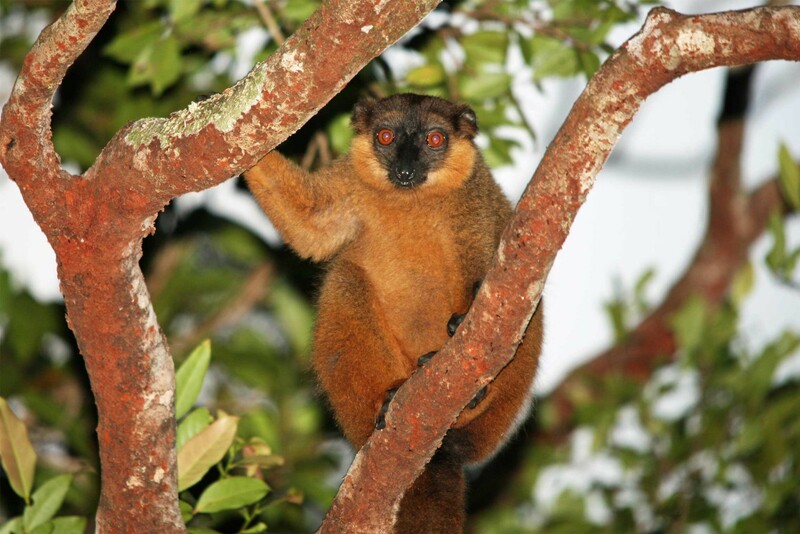 Night walks will be offered to see nocturnal lemur species such as grey and grey-brown mouse lemurs and the range restricted white-footed sportive lemur, Madagascar scops owls, warty chameleons and geckos and more. Enjoy another day of guided activities in a small group or relax at the camp. Perhaps visit the Lac Anony. This salt water lake is separated from the Indian Ocean by a series of large sand dunes and is home to greater flamingos and a variety of salt water birds. 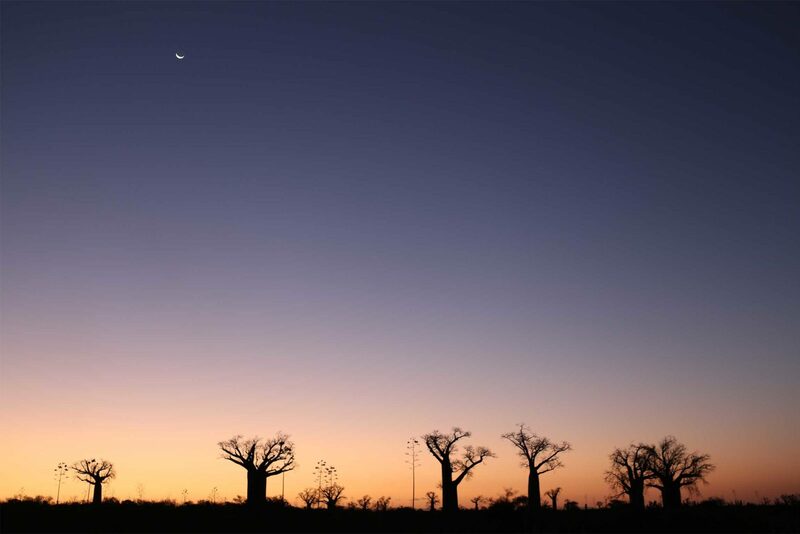 This evening perhaps (around 5pm), depart for a sundowner amidst the baobabs. 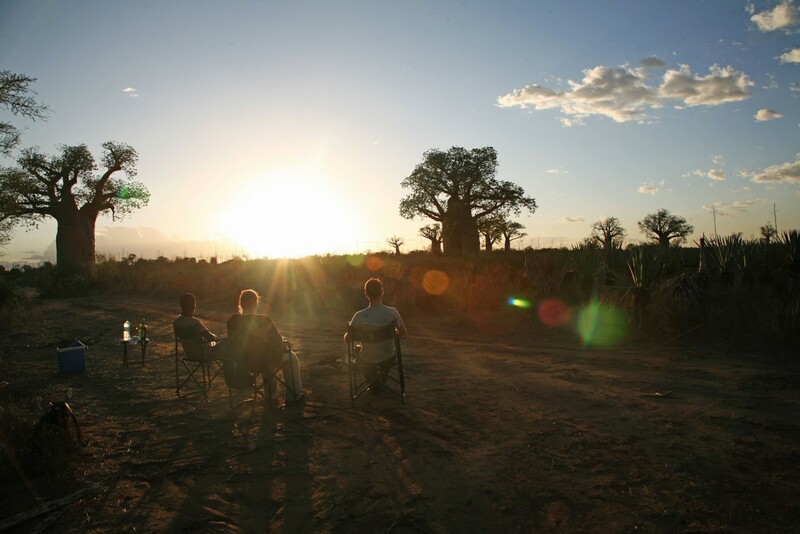 Watching the sun set and moon rise with a view across the Baobabs to the mountains beyond is a magical experience. 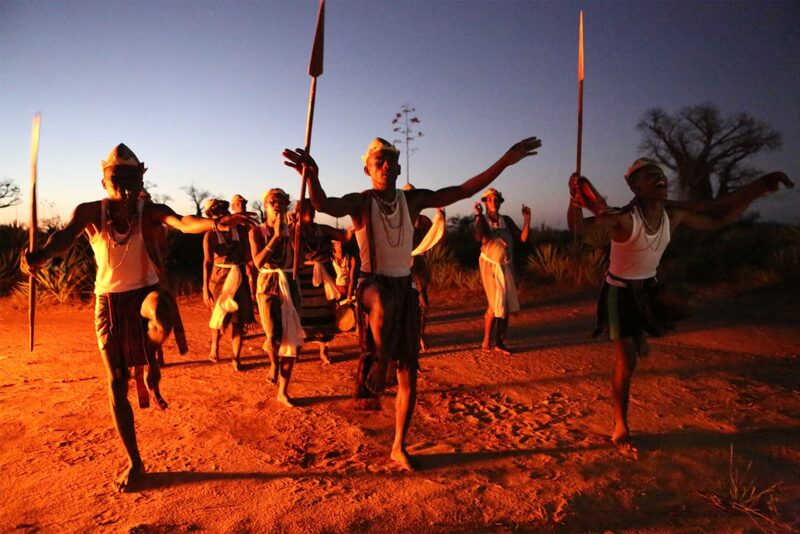 In the evening the local village may come to perform beautiful traditional dances, accompanied by singing and music. 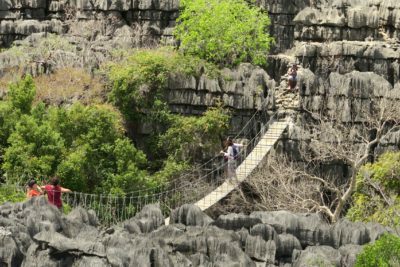 After a last visit to the local market or the spiny forest, take a short flight (25 minutes) to Fort Dauphin where you will be escorted to one of the many lovely restaurants in town for lunch. 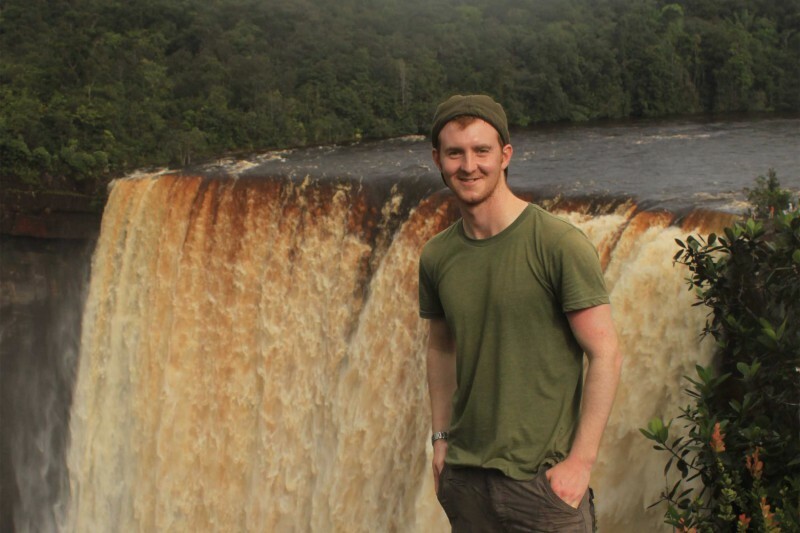 Then transfer (3 hrs) through stunning mountainous scenery, passing endemic carnivorous Nepenthes (pitcher plants) to your next lodge by the beach. 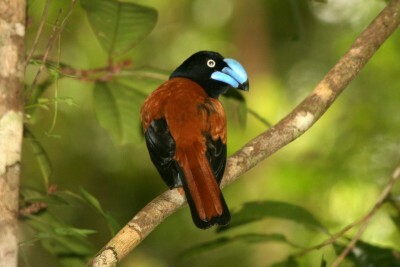 In the evening perhaps enjoy a night walk in the littoral rainforest. 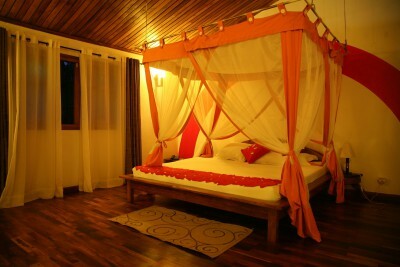 Staying at Manafiafy Beach and Rainforest Lodge . Includes All Meals. Full day at leisure. 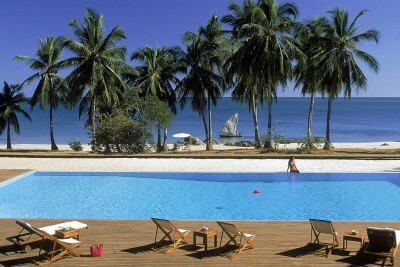 The lodge offers a host of activities which are included in the cost such as guided walks in the nearby littoral rainforest. 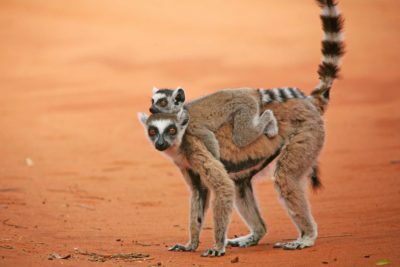 This is the habitat of the highly endagered red-collared brown lemur and southern woolly lemur as well as fat-tailed dwarf lemurs, rufous mouse lemurs and sportive lemurs. This little visited coastal rainforest is also home to some spectacular reptiles such as the satanatic and mossy leaf-tailed geckos, brightly coloured Phelsuma day geckos, tiny Brookesia leaf chameleons, cat-eyed snakes and much more. 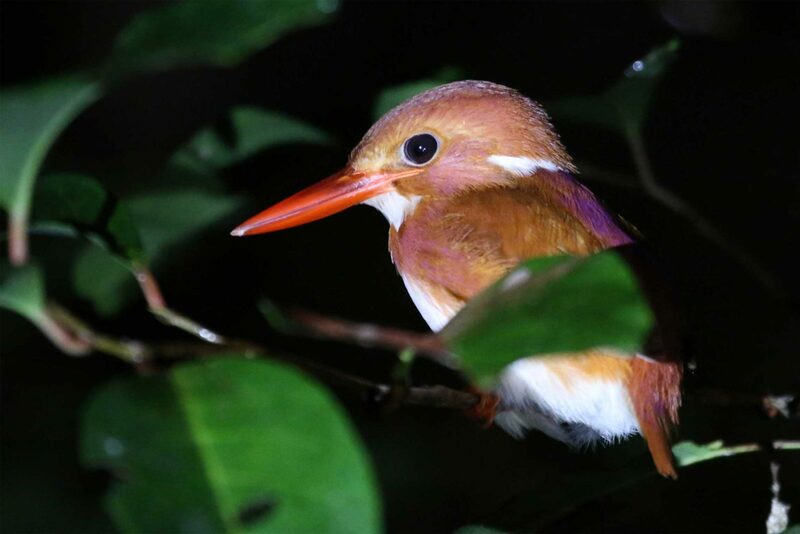 Birdlife is also exciting with the Madagascar pgymy kingisher and Madagascar crested ibis and mudskippers, crocodiles, humpback whales and bottle nosed dolphins are other highlights. Enjoy another day at leisure and choose from the many activities on offer from the lodge. 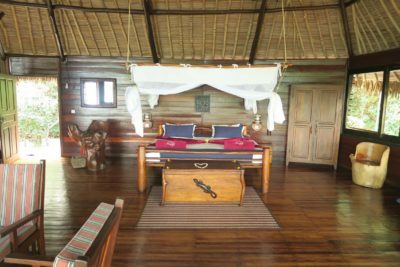 Besides exploring the rainforest, you can also visit to local village, markets and school, take canoes, kayaks or a motor boat through the mangroves, snorkel over rocky reefs and watch humpback whales (July - Nov) from the lodge's purpose built tower. Open air massages and romantic picnic lunches on secluded islands are also available and for an extra cost boat based whale watching and fishing are also available. 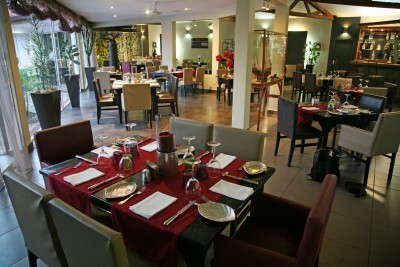 Enjoy another day at leisure and choose from the many activities on offer from the lodge. Morning pick up from the lodge and transfer (3 hours) back to Fort Dauphin stopping to look at a colony of Madagascar flying foxes en route. Transfer to the Fort Dauphin airport and take scheduled charter flight back Tana, arriving mid-day. On arrival transfer 4 hours to Andasibe. 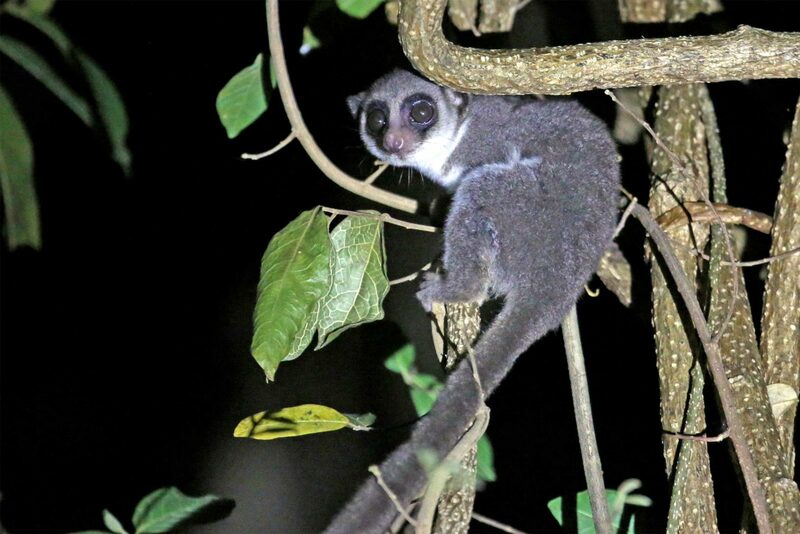 Take a night walk in the evening for nocturnal Goodman's mouse lemurs, furry-eared dwarf lemurs and eastern woolly lemurs. Staying at Andasibe Hotel. Includes Breakfast and Dinner. 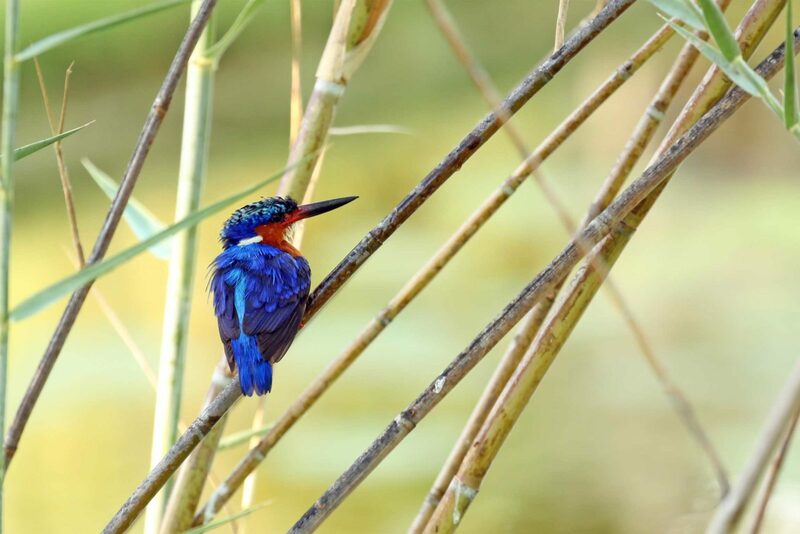 Travel in September, October and November for the best weather and wildlife viewing. Please note that total luggage is restricted to 15kgs per person on the scheduled charter flights, but excess luggage can be safely stored in Tana. Laundry services are free of charge in both Mandrare and Manafiafy properties. Only soft bags are allowed, not hard suitcases too. If you require additional luggage space, then this can also be arranged but is payable on a request basis only. Please request this in advance and we can advise on the availability and cost.